The story behind the Christmas tree at Boston Commons. A helping hand during your darkest hour is never forgotten. That’s why the province of Nova Scotia supplies the City of Boston, Massachusetts with its giant official Christmas tree that’s the centerpiece of the city’s holiday display in Boston Commons. It’s their way to say “thank you” for the aid that Boston sent after the Halifax Explosion on December 6th, 1917. December 6th, 1917 started as a beautiful day in Halifax’s bustling wartime harbour. It came to a cataclysmic end when a small collision between the Mont-Blanc, a ship loaded with munitions and aviation fuel destined for the battlefields of WWI and the Imo, a Norwegian relief ship, started a fire on the deck of the munitions ship. Everyone within eyesight stopped to watch the excitement unaware of the danger they would be in when the fire reached the cargo. The Mont-Blanc blew up in a monstrous 2.9-kiloton blast that wiped out much of the city in an instant. The shockwave was felt nearly 200 miles (300 kilometers) away. Photo courtesy of the Government of Nova Scotia. The Halifax Explosion was the largest man-made explosion before the atomic age. About 1,600 were killed instantly, another 400 or so died in fires afterwards and more than 10,000 were wounded. Nearly 1,000 people were blinded by flying glass alone when the blast wave blew out almost every window in the city and many more were left homeless. Then, as if conditions weren’t bad enough for the rescuers poking through the burning ruins for the dead and injured, a massive winter blizzard rolled in and buried the city in freezing temperatures and heavy snow. Survivors described it as hell on earth. When the first rumors of the disaster reached Boston later that morning the city started organizing efforts immediately. A trainload of medical staff and supplies was dispatched in less than twelve hours. It battered its way through snowdrifts into Halifax and staff set up an emergency hospital the next day. They saved untold numbers of lives with their efforts and the grateful people of Halifax never forgot it. The province first sent a Christmas tree to Boston as a thank-you in 1918. The tradition was revived in 1971 and has continued ever since. Nova Scotians consider it a great honor to have a tree from their property selected as the annual Christmas tree gift to Boston. Tim Whynot with the Nova Scotia Department of Natural Resources says people offer his department 12 to 15 trees for it each year. 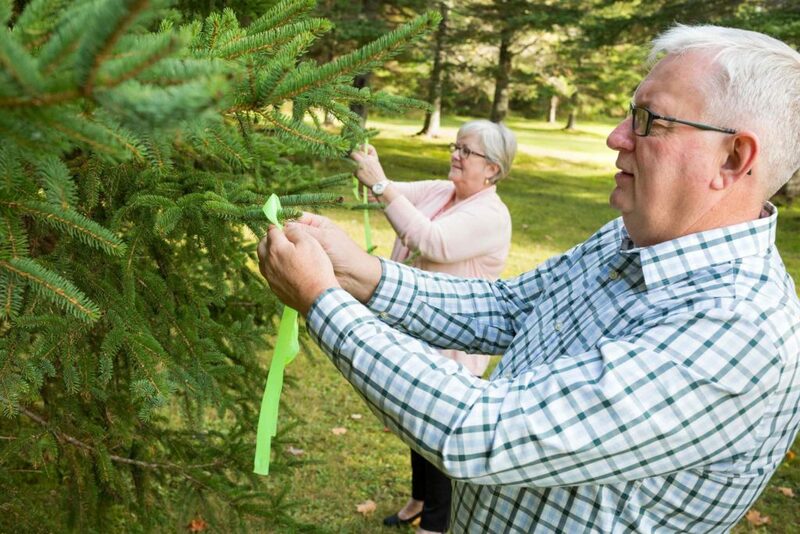 Bob and Marion Campbell and their family, from Blue Mills, Nova Scotia, donated this year’s tree to commemorate the 100th anniversary of the tragedy. 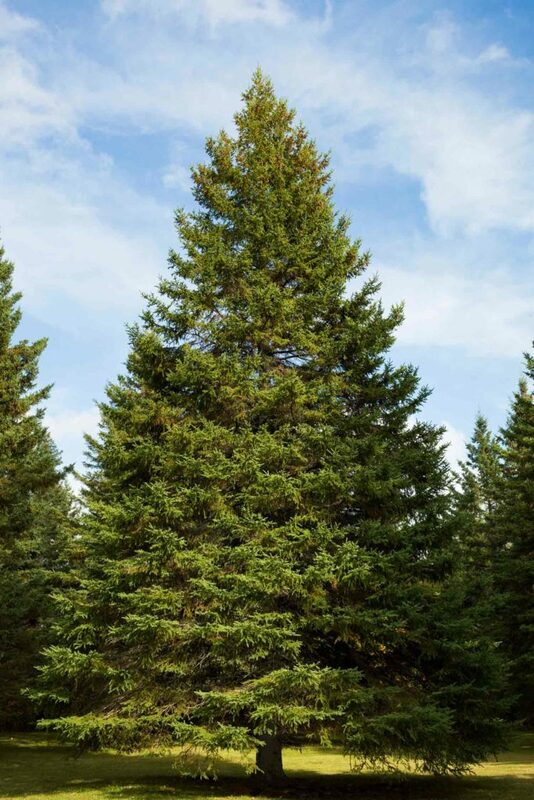 Whynot says the 16-metre (53 feet) white spruce was just what they were looking for, a perfect giant-sized Christmas tree. Bob and Marion Campbell donated this year’s Christmas tree to the city of Boston. Photo courtesy of the government of Nova Scotia. Boston Mayor Martin J. Walsh and the Honourable Stephen McNeil, Premier of Nova Scotia lit the tree at a ceremony on Boston Commons on November 30th to officially launch the city’s holiday festivities. For more information regarding the Tree for Boston, visit www.novascotia.ca/treeforboston. Main image courtesy of Kyle Klein.